McLaren Automotive has begun putting out teasers of its upcoming supercar, a convertible. The McLaren 720S Spider will be only the second convertible on the McLaren lineup after the 570S Spider. The 720S Spider was most recently teased in an image that McLaren shared on its social media. There is also a 13-second youtube video, which shows pretty much the entire outline of the car, but with the roof in place. McLaren will officially reveal the 720S Spider on December 8, 2018. McLaren has not yet given out specifications for its upcoming convertible supercar. However, if it is anything like the fixed-roof sibling, the 720S Spider could sport a 4.0-litre twin-turbo V8 motor which produces 720PS and 770PS. 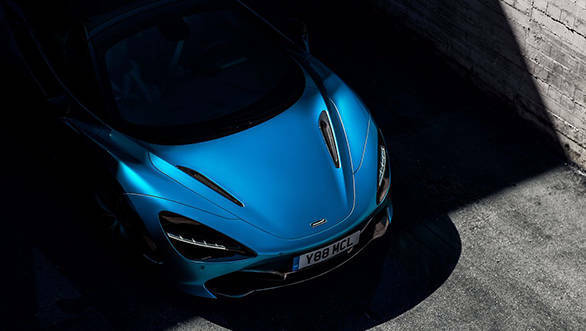 The McLaren 720S Spider will be second car on the company's lineup to be launched under the Track25 plan, which entails the conversion of all its models to hybrids by 2025. McLaren aims to put out 18 new models under this plan. Of these models, the Speedtail is the first, and the upcoming 720S Spider will be the second.